SELF STORAGE for HOME, AUTO or BUSINESS! 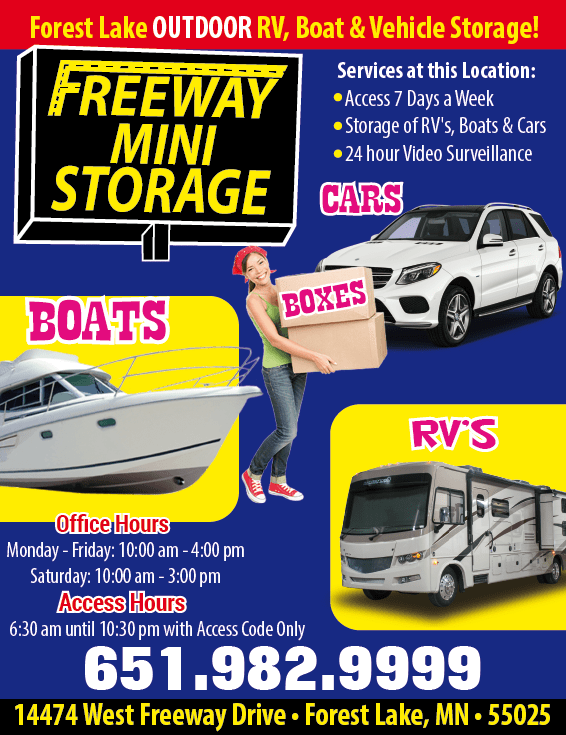 Welcome to North Star Mini Storage! Your search for a self-storage facility is over – if you are looking for a secure, clean, convenient and affordable mini storage space to store your belongings, with no need for a security deposit, you’ve come to the right place. We are family owned and operated locally for 40 years, and we have 8 convenient Twin Cities locations to serve you! We Offer PREPAY DISCOUNTS! Prepay 6 months and get 5% off. Prepay for 12 months and you get an 8% discount! Ask our location Managers for details. Below are some helpful links to assist you, or feel free to contact the location directly! North Star Mini Storage in Burnsville is where we rented and not only was the facility convenient, and so clean, but Manager Barbara always had a wink and a smile for us. We highly recommend North Star to store your things. Safe, secure, and always accommodating. “I rented space at North Star Storage for 5 years; longer than I initially anticipated. But I was super impressed by the spotless and climate controlled environment provided. I always felt my personal items stored were very safe there. The facility is very secure and fenced it. Also, I was so impressed with the office staff. Always friendly, upbeat, professional, and approachable for questions and assistance. I highly recommend this storage facility if you are looking for a place, no matter how much you need to store. If I need extra storage for myself I will definitely contact them again. Thanks!” —Kathy K.
Ive rented at many other places, and by far North Star Mini Storage (I rented at the Burnsville location) is the most professional, clean and safe facility I have ever used. I absolutely recommend them and Barbara, the Manager is professional and caring. Thank you so much. If I ever need storage again, I will never rent anywhere else! Friendly staff and tough security. Gate pin access, tons of cameras, and individual alarms on garage doors. I couldn’t be happier. I was helping a friend find a unit and went directly to North Star. I had heard a number of good things about them and they certainly lived up to their reputation. We were unsure what size would work the best and the employee at Minnetonka had no problem showing us a few different units. He even gave a suggestion of what would work best, and it was the perfect size. —C.L. My wife and I (mainly me) finally bit the bullet and accepted the fact that we needed additional storage space. It was this winter when I finally pulled the PC out of my den and out into the living room. Thus sealing the fate of my happy place as a slow but methodical march of junk ultimately pushed me out of the place I had once found such peace. Well, no more! I soon found myself at your Shoreview location. It was there that I met your manager, Mike, and my education began… I had never used a self-storage facility before was pleasantly surprised at how high tech and modern the facility is. Mike helped me assess the amount of space I needed and at no point was I confused about what he was saying. Typically in new purchasing environments such as this I know I’m being pressured when I start feeling confused about what I should pick. This was not the case at all. I felt I had a good handle on what my options were and their associated pros and cons. Mike was engaged and gave me advice on how I could maximize the space I was allocated. This was a pleasant experience. I will now always consider North Star to be my go-to triage option for space management going forward. Keep up the great work! —John C.
When we needed help Barbara, the Manager in Burnsville came in and made it a very easy process. I can’t thank you enough for everything. I appreciate everything you have done for me and my son. We will think of you and North Star Mini Storage, when we choose to take another unexpected adventure. We are so excited and can’t wait to start off fresh. Thanks again! When we needed help Barbara, the Manager in Burnsville came in and made it a very easy process. I cant thank you enough for everything. I appreciate everything you have done for me and my son. We will think of you and North Star Mini Storage, when we choose to take another unexpected adventure. We are so excited and cant wait to start off fresh. Thanks again! I was helping a friend find a unit and went directly to North Star. I had heard a number of good things about them and they certainly lived up to their reputation. We were unsure what size would work the best and the employee at Minnetonka had no problem showing us a few different units. He even gave a suggestion of what would work best, and it was the perfect size. I am writing to say that we have had a storage unit at your Shoreview location for several years and have been very pleased with everything. Whenever we would enter I would say that “This is a very well managed business”. I also want to commend Mike Webber for his very helpful respectful service in person and by phone every time I contacted him, even remembering my name. We have cleaned out our unit this past week but if we ever need one again, we would certainly use your services. I have been a customer of North Star Mini Storage for over 3 years. I find the price for my unit to be very reasonable. The security is great! They have a security gate and many security cameras. My storage unit even has it’s own alarm. The lot is very well lit and the facility is always nicely maintained. Mike and Tom (the managers) have been there the entire time and they are very friendly. AND, they work with me. I have an occasional need to store a snowmobile trailer for a night or two AND they allow it! It is nice to work with guys that take their job seriously and are happy to do it. I highly recommend North Star Mini Storage. North Star Mini Storage It is clean, secure (a double security system, if you will) and the Manager, Barbara is wonderful. I highly recommend North Star Mini Storage! 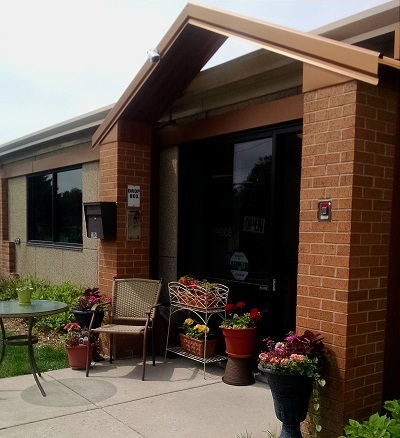 Convenient locations, friendly staff, and well-maintained storage units make North Star Mini Storage an excellent choice for all your storage needs. We highly recommend this place to anyone looking for a clean, safe, and secure storage facility. Thank you for help during this last year. Mike, the Shoreview Manager was always courteous, helpful and professional. I would recommend North Star Mini Storage in Shoreview to anyone looking for a clean, safe and good price rental storage unit.